An interesting book bringing together 40-odd articles Ree has written over the years, mostly for New in Chess magazine. Profiles of one sort or another predominate, whether of world champions (Fischer, Karpov and Kasparov), near-world champions (Bronstein, Kortchnoi, Timman), cultural figures associated with chess (Duchamp, Nabokov) or Dutch players whom Ree has known (with one, Euwe, being also a world champion). 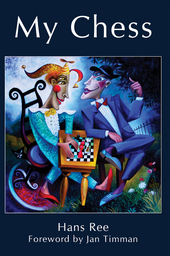 Ree writes about tournament play and the chess club, De Kring, as well. And, like the current world champion (see Carlsen’s recent interview on Norwegian TV) and the Austrian artist Gottfried Helmwein, Ree seems to have a soft spot for Donald Duck. One sentence struck me. Ree writes of Euwe that, despite his solid establishment status, he preferred to mingle with bohemians rather than ‘respectable plodders’. It struck me because that’s a strand or a subtext running through many of the essays: in the Netherlands, uniquely perhaps, chess is an arena where the bourgeois and bohemian worlds meet. The essay about Murey is especially beautiful and, in my view, the best in the book. The publisher’s description is here. 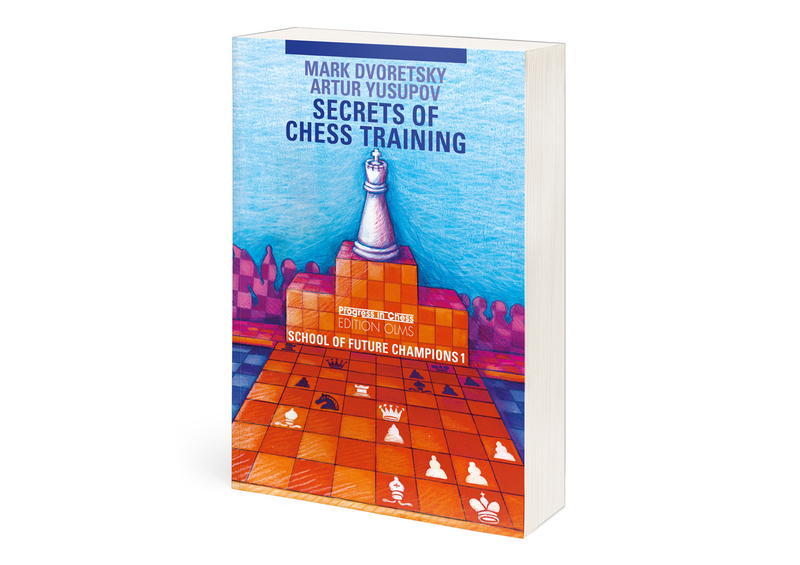 The main question addressed in the book is: how should you study chess, what can you best do to improve your game? The short answer is that you should analyse your own games, especially your losses, since these best highlight your blindspots and failings. Those areas where you need to improve. Losses are diagnostic, while wins are not, on the whole. Another reason to focus on your own games is because that will give you a handle on what you’re like as a player. Thus you’ll be able to accentuate your strengths and take steps to eradicate your weaknesses. It all sounds very straightforward, doesn’t it? Most chapters in the book were originally lectures, and they were delivered at a chess school run by Dvoretsky and Yusupov. Dvoretsky wrote most of them, while Yusupov and a few others contributed as well. Kaidanov, for example, has a terrific chapter about king marches into enemy territory, the monarch playing the role of fearless attacker. A fascinating subject, which Dvoretsky and Yusupov later expand upon. There is plenty of interesting stuff elsewhere too. Dvoretsky’s famous lecture on ‘the superfluous piece’ is here. 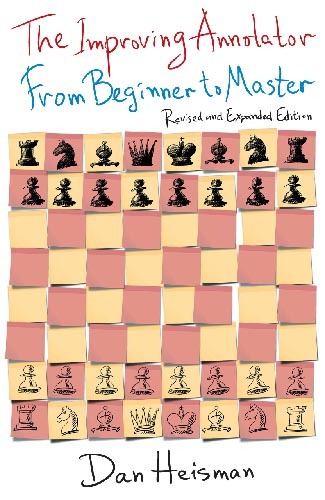 One chapter compiles a selection of advice from great players (Steinitz, Tarrasch, Lasker, Capablanca…) on how to improve. And, as is customary with Dvoretsky’s writings, there are plenty of exercises and test positions with very full (both in terms of analysis and explanation) solutions. Chess players who are seriously intent on improving their play will find Secrets of Chess Training to be a worthwhile investment. The publisher’s description is here. The ‘new concept’ is that White can play the Tarrasch Variation (1.e4 e6 2.d4 d5 3.Nd2) with the aim of reaching an isolated queen’s pawn (IQP) position. So there might plausibly follow: 3…c5 4.c3 (4.exd5 is usual) cxd4 5.cxd4 dxe4 6.Nxe4 Bb4+ 7.Nc3 Nf6 8.Bd3 0-0 9.Nf3 b6 10.0-0 Bb7 11.Re1, etc. Or you could see a sequence that looks something like this: 3…Nf6 4.Bd3 (refraining from the usual 4.e5) c5 5.c3 Nc6 6.Ngf3 cxd4 7.cxd4 dxe4 8.Nxe4 Bb4+ 9.Nc3 0-0 10.0-0, etc. Such IQP positions, which more often than not arise from the Nimzo-Indian, the Queen’s Gambit, the Panov Caro-Kann and even the 2.c3 Sicilian, may objectively give White only a slight edge. But White, if well prepared, can count on having the upper hand here, from a psychological point of view at any rate, because your average French Defence player will likely be uncomfortable in such relatively open positions. They tend to prefer closed positions with interlocking pawn chains and not much going on by way of direct threats. This is a solid opening book. Naturally, it will be of primary interest if you play 1.e4 or meet that move with the French. But I’d recommend the book also to players who want to study and explore positions with IQP structures; in particular playing with the isolani, handling it as an attacker. Yevseev shows you how to reach these types of position against the French. The publisher’s description of the book is here. The author gives some advice about how to annotate a chess game, then presents 28 of his own games, and a further two positions taken from his games (‘snippets’ as he calls them), all fully annotated. The games were played between 1967 – when Heisman was a bit stronger than a beginner, in truth – and 2006, when he was undoubtedly of master strength. The annotations are unfailingly entertaining and instructive. In annotating your own games, you are compelled to cast a critical eye over virtually the whole of your play; to examine how you approach the opening, the middlegame and – if and when you reach that stage – the endgame. Little wonder, then, that many strong chess players and top coaches, notably the great Botvinnik, recommend it as an ideal way to improve. Heisman throws in his lot with them. With this book he explains how it is done and shows you how to go about it.